EXECUTIVE ELECT GEORGE LATIMER ANNOUNCED HIS TRANSITION TEAM RECENTLY. LATIMER NAMED KEN JENKINS OF YONKERS AS DEPUTY COUNTY EXECUTIVE. JENKINS WAS LATIMER’S OPPONENT DURING THE SEPTEMBER PRIMARY RACE. SERVING AS COUNTY ATTORNEY IS JOHN NONNA, FORMER MAYOR OF PLEASANTVILLE AND PARTNER WITH LAW FIRM SQUIRE PATTON BOGGS. FOR DIRECTOR OF OPERATIONS, LATIMER CHOSE JOAN MCDONALD, THE FORMER STATE COMMISSIONER OF TRANSPORTATION. LATIMER ALSO NAMED CATHERINE CIOFFI, THE FORMER WCBS BROADCASTER, FOR DIRECTOR OF COMMUNICATIONS. This past Tuesday, LMC-TV producer and hostess of “A Town and a VIllage Too”, Alice Bloom spoke with the Village of Mamaroneck Manager, Richard Slingerland. They discussed village issues including deer and coyote control, budget and taxes, parking meter technology upgrades and industrial and residential development plans. The Army Corps of Engineers flood study, which was released on January 29th, was one of the highlights of the interview. Slingerland explained that this new plan consists of widening and deepening the rivers throughout the village. He added that the plan will be the most effective use of the federal, state and county funds. He will be one of our guests in our Round Table discussion. Bloom asked him about the parking situation and he discussed the pilot program in length. He finished the interview by stating what he wants the community to know about the village’s finances. You can watch the full interview on Friday, February 5th at 9:30 on Channel 75 for Cablevision views and 36 for Verizon viewers. Alice Bloom’s show, “A Town and a VIllage Too” has been on the air for 15 years and has over 300 episodes. The show brings our three communities together at one table to discuss ways in which they can work together, expand cooperation and share services. Whether you live in the Village of Mamaroneck, the Village of Larchmont or the Town of Mamaroneck, you can take advantage of a new law that allows your municipality to negotiate the best electricity and natural gas prices for you. This is due to a new state pilot program called “Community Choice Aggregation” or CCA. The program was created by sustainable Westchester, a county-wide non-profit that promotes sustainability initiatives and is composed of a consortium of Westchester County local governments. How does the program work and what steps have our municipalities taken to facilitate residents lowering their energy costs? The first step, which has already been completed by the three municipalities, is the enactment of a local law that enables them to participate in the pilot program, without forcing them to commit to it. After the local law was passed, the second step was to sign a memorandum of understanding, known as an M-O-U, which has also been completed. When Con Edison or the New York State and Gas Corporation (NYSEG) are notified by the municipalities, the final step will be a bidding and negotiation process of the lowest energy price. This is the current state for our three municipalities. Town of Mamaroneck Supervisor, Nancy Seligson, gave The Local Live an updated report from the town. Village of Larchmont Mayor, Anne McAndrews told The Local Live, “the request for proposals went out to suppliers on Friday. Bids are on February 22nd and that is when we’ll know they have secure and compliant bid.” So far, 20 Westchester municipalities have adopted local laws in joining the pilot program. It is important to mention that customers will still receive only one bill each month, and it will still come directly from Con Edison or NYSEG. Thew new bill will reflect the change in supplier and new. lower supply rates. Residents can opt out of participating in the program. They can try it for one month and if they don’t like it, they can go back to their former energy provider. We will be following this story closely and will update you with any new information, so that you can benefit a possible lower utility bill. If you want to read more about Sustainable Westchester, you can log onto www.sustainablewestchester.org to read the Frequently Asked Questions (FAQ) aobut the Community Choice Aggregation Program. In our Round Table discussion, Maura Carlin spoke with Richard Slingerland, Village of Mamaroneck Manager and Tony Gelber, Chairman of the Village of Mamaroneck FMAC (Flood Mitigation Advisory Committee) regarding the Village and flood situations. The Rye Neck Boys Basketball had a tight game against Hawthorne Cedar Knolls in a possible playoff qualifying game. Senior Noah Caplan provided a late spark from both ends of the court on our Play of the Week. Ready for Super Bowl 50 and looking for a last minute Super Bowl party? If that’s the case, Rob Baez has a deal from the newly opened Smokehouse Tailgate Grill you might be interested in. The Pet of the Week is Marisa, an adorable Terrier mix. She weighs around 22 pounds and is around five months old. She is a sweet dog but can be shy in new environments. She has scruffy fur around her face and looks like a Dalmatian mix. She needs a home with another dog and too much activity and noise which can still scare her. Once she feels comfortable in her new environment, she is as adorable as can be. For more information and to browse other adorable pets, go to http://www.ny-petrescue.org. If you’d like to keep us on the air, support us by checking out our website, www.lmctv.org. We appreciate any contribution. We are always looking for new interns and volunteers. 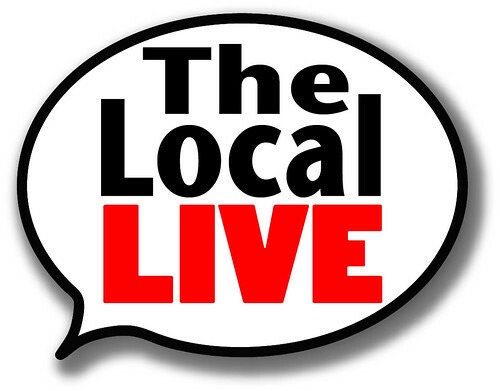 Send your emails to thelocallive@lmctv.org and join us. We love hearing from you.